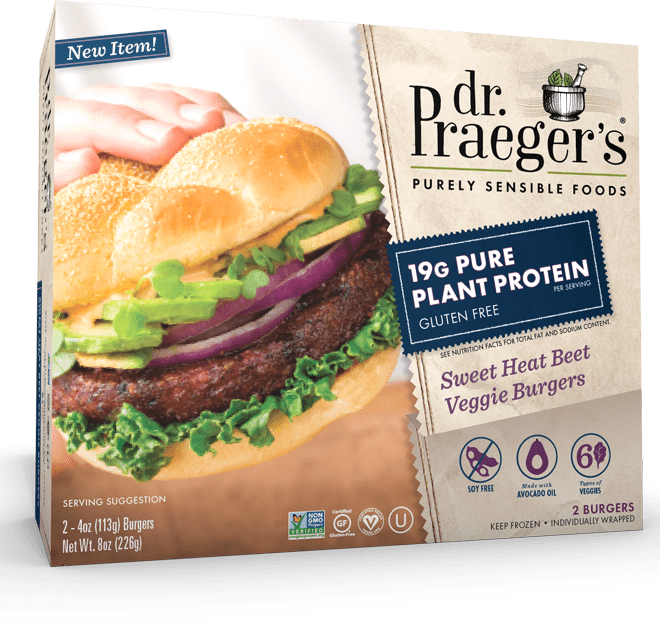 19g Pure Plant Protein. 6 types of veggies. Soy free. Made with avocado oil. Keep frozen prior to use. For food safety cook to an internal temperature of 165ºF. Do not leave appliances unattended as cooking times may vary. Preheat oven / toaster oven to bake at 450˚F. Place frozen burger on an ungreased baking pan. Bake approximately 7 minutes per side, until heated through and well browned. Pre-heat a non-stick pan over medium heat. Cook approximately 3 minutes per side until heated through and well browned.